Herbicide injury by Synthetic Auxins (SA) including 2,4-D, mecoprop, amniopyralid, clopyralid, dicamba, triclopyr and others. 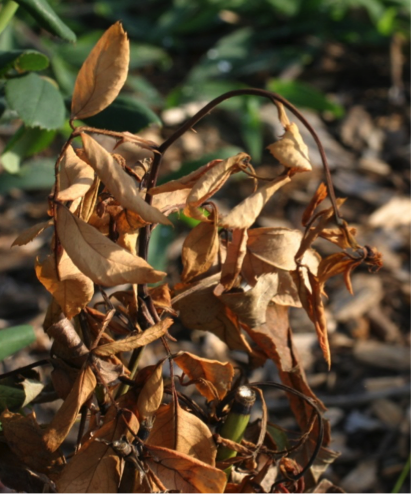 Crop injury may result from misapplication, spray drift, vapor drift, contamination (spray tank, measuring containers, fertilizer, etc. ), and carryover in soil, mulch, hay, etc. 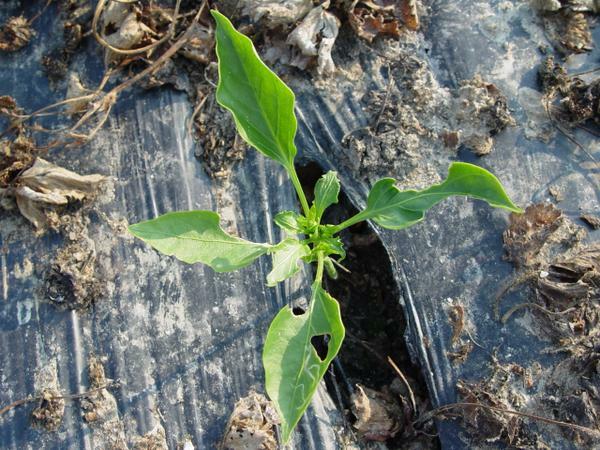 Acts only on broadleaf plants. Epinastic twisting and downward curving of fully turgid (not wilted) stems and petioles. 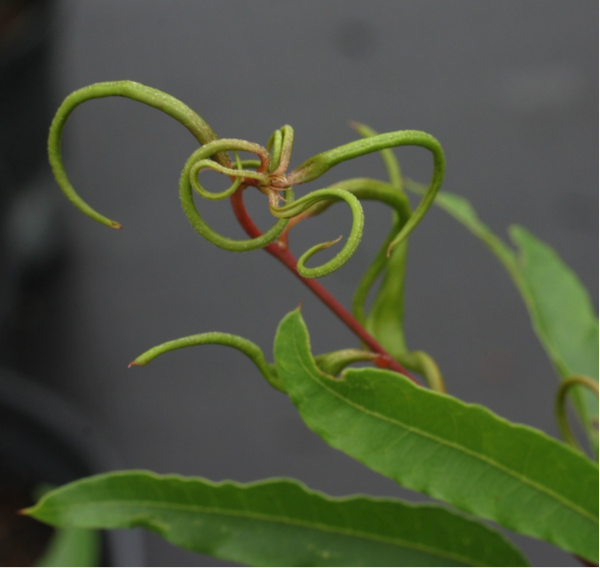 Malformed leaves may be curled, cupped, strap-shaped or twisted. Chlorosis on new growth progressing to older tissue as plant senesces. aminocyclopyrachlor injury to cryptomeria from root uptake. aminopyralid spray drift injury to cryptomeria 21 days after treatment. Clopyralid carrover to bell pepper. 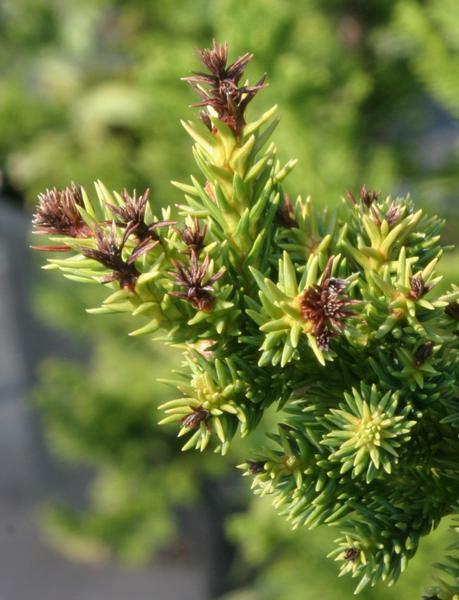 Aminocyclopyrachlor injures conifers from root uptake. The arborvitae on the right was exposed via root uptake. Photo take 4 months after treatment. 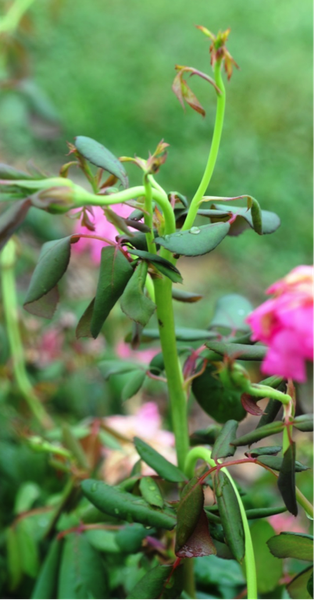 Triclopyr spray drift on rose one day after treatment. Tricolpyr spray drift on rose 21 days after treatment. 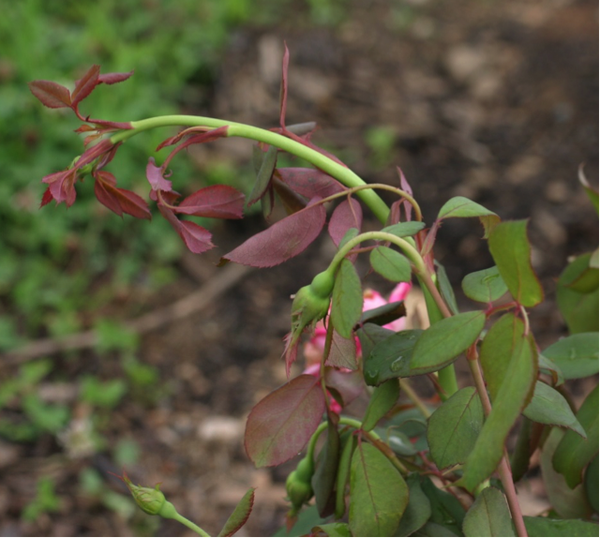 2,4-D spray drift on rose three days after treatment. 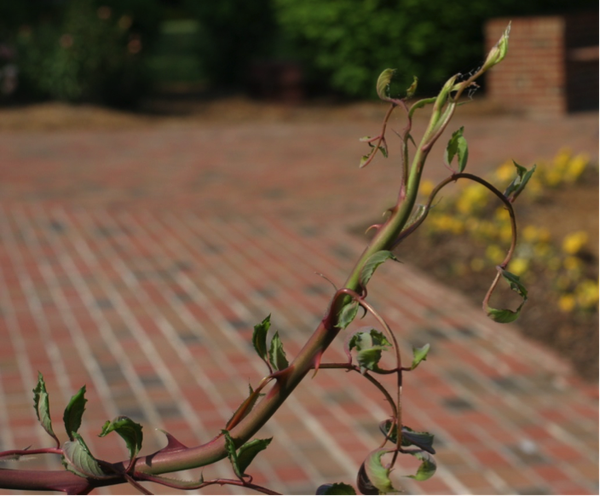 2,4-D spray drift on rose 21 days after treatment. 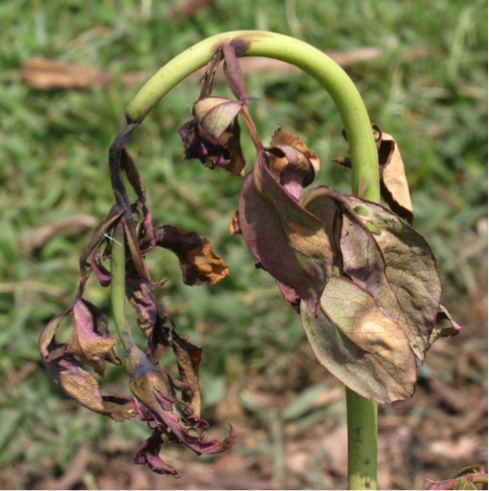 2,4-D + MCPP + Dicamba spray drift on rose five days after treatment. 2,4-D ester vapor drift on rose, about four weeks after exposure. 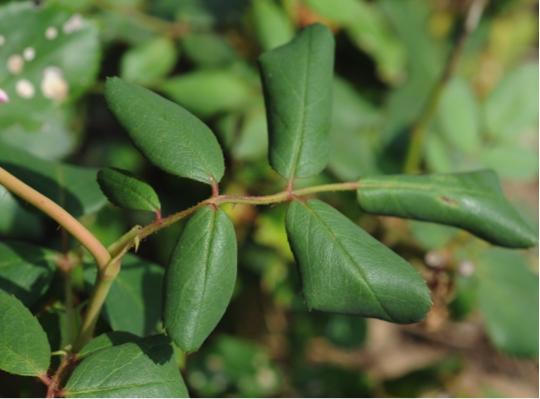 Clopyralid spray drift on rose 14 days after treatment. 2,4-D spray drift on willow oak three days after treatment. 2,4-D ester volatility injury to willow oak one day after treatment. Foliar applied and translocated throughout the plant. 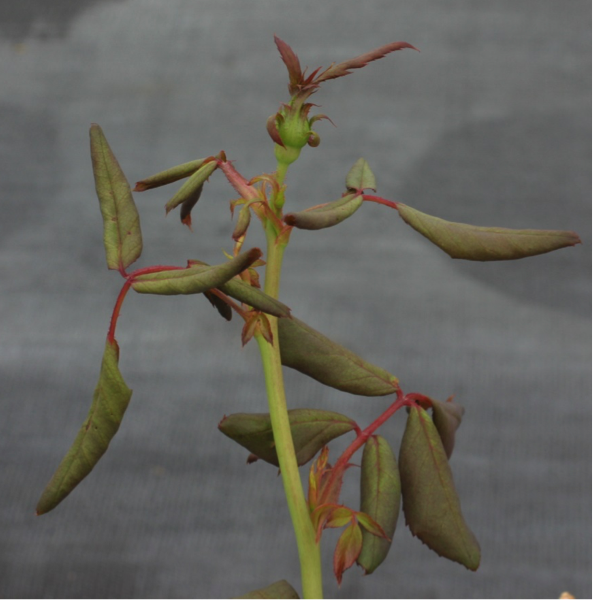 Symptoms of injury will be visible on new growth stems, petioles and then leaves within 48 hours of exposure; followed by chlorosis in about 7-10 days concluding with growth cessation of shoots and roots in about four weeks. 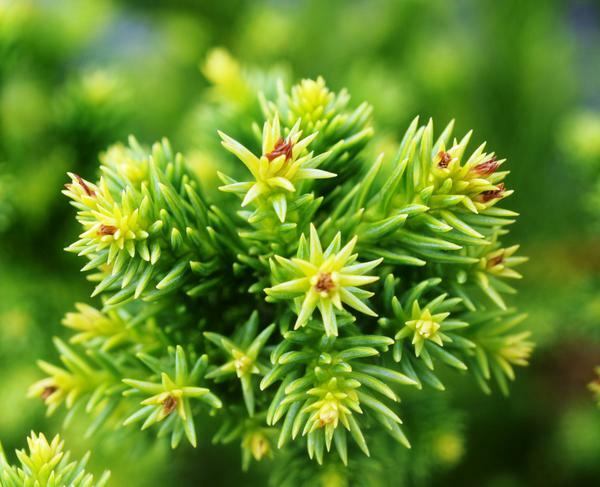 Foliar absorption may occur through vapor drift if the ester formulation is applied. 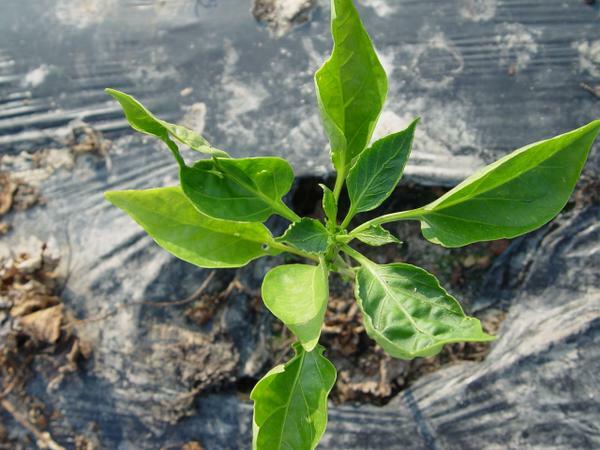 Root absorption is also possible in porous soils. 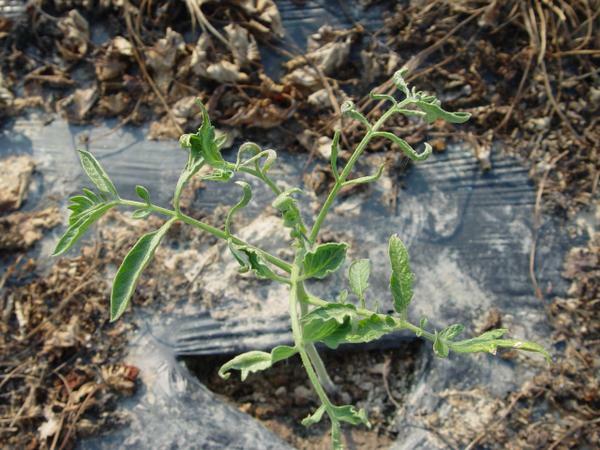 Certain synthetic auxin herbicides, such as aminopyralid and aminocyclopyraclor, are more persistent in the soil and are more likely to be absorbed by root uptake than other SA herbicides. Diflufenzopyr (Distinct) – auxin transport inhibitor; buildup of IAA. 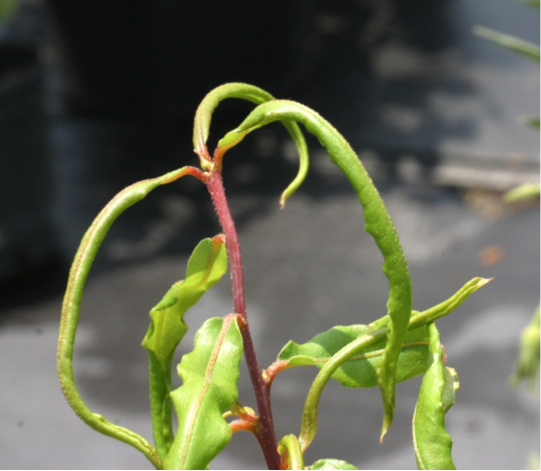 Acetolactate synthase (ALS) inhibitors such as imazapic (Cadre, Plateau, and others) and imazapyr (Arsenal, Chopper, and others) also cause cupped foliage but ALS-treated plants lack curled or twisted growth. Certain aphids and other piercing/sucking insects can induce cupped and curled foliage. Such insect injury is distinguished from SA herbicide injury by the presence of the pest and lack of systemic symptoms on other plant parts. Applied Weed Science: Including the Ecology and Management of Invasive Plants (3rd Edition), Merrill Ross & Carol Lembi, pages 165, 170-172.